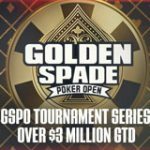 The Golden Spade Poker Open is a series of online poker tournament with over $1.5Million in guaranteed prize pools spread across 102 events. The GSPO series kicks off at Bovada and Bodog from the 21 September until 3 November 2013. Tournaments range from low-mid stakes in the Contender Series and mid-high stakes poker tournaments in the Championship Series. Thousands of satellite tournaments will be available throughout the series, qualify for a fraction of the direct buy-in. 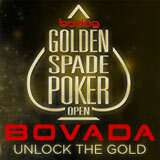 The Golden Spade Poker Open is limited to USA players on Bovada and Bodog Poker for Canadian poker players. 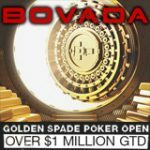 Bovada is currently the most popular USA poker site and offers anonymous poker tables and a fast fold poker variant called Zone Poker. The Golden Spade Poker Open is split-up into two separate poker series, the Contender Series for low-mid stakes poker players and the Championship Series for mid-high stakes players. The GSPO series will run until 3 November, players can start qualifying for the events by playing the daily satellite tournaments. 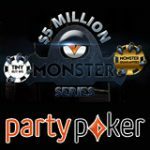 The series features more than 100 guaranteed poker tournaments with a total combine prize pool of $1.5 million dollars. 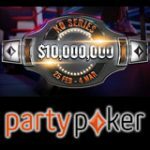 The Contender Series is a low to mid stake poker series with $250,000 in guaranteed prize pools including a $50,000 Main Event. Contender series events run from 21 September to 6 October with buy-ins from as low as $3.30. 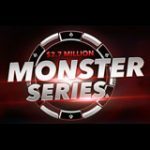 The Championship Series is a mid-high stake poker series with a guaranteed total of $1,250,000 in prize pools. Events run daily between 19th October until the GSPO main event on 3 November. 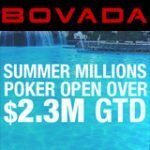 Buy-in directly to any event or start qualifying for your seat it the daily satellite tournaments on Bovada and Bodog Poker. Play Zone Poker on Bovada and Bodog, this is the only fast fold poker game available to USA players since Rush Poker on FullTilt. The popular poker game is full of action with less waiting between hands as players can fold instantly as their hand is dealt. Every-time a hand is folded the player is sent to a new table to face a different set of players for their next hand.